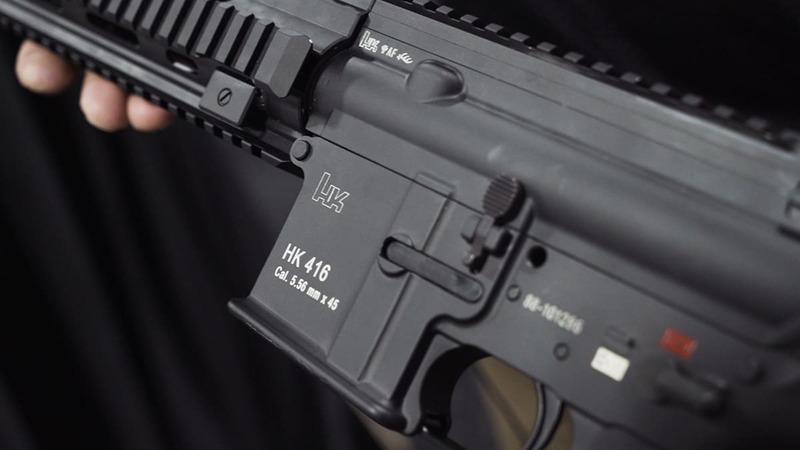 “Except for the barrel and the rear end it is a legit, complete HK416. It’s kind of a unicorn gun that shouldn’t exist,” Wong said and explained that the gun is equipped with a Lothar Walther blank barrel that has been treated and cut to HK specs. If you wanna ride unicorns you’re gonna have to pay the price. Because of the type and how rare this gun is Hurricane Butterfly has put a premium on it, with the MSRP set at $12,500. “I get it, you can build a clone for a lot less, but it’s still not an HK,” Wong said.